Not one, but two yarns have been finished this week, although they are yet to have a bath and a 'thwack' to set the twist. The yarn on the left is the last of the alpaca blend from Hannah and is as super soft as it looks - I have a project lined up for that already. Feeling highly motivated after finishing that, I got on with spinning the fibre on the right for the SAL/KAL and plied it yesterday. It's pretty - very sparkly and a lovely colour, and I love the inconsistencies in thickness which I had planned for this one (will attempt 'art' yarn soon, perhaps).... but there isn't enough to make the (Age of Brass and Steam) pattern. I estimate there to be about 140m and the pattern calls for more but as I don't want to buy additional fibre for this pattern and have nothing that really looks right with this, I will be bowing out of the KAL part of the SAL/KAL, although I'm still following the Instagram pictures from other participants. 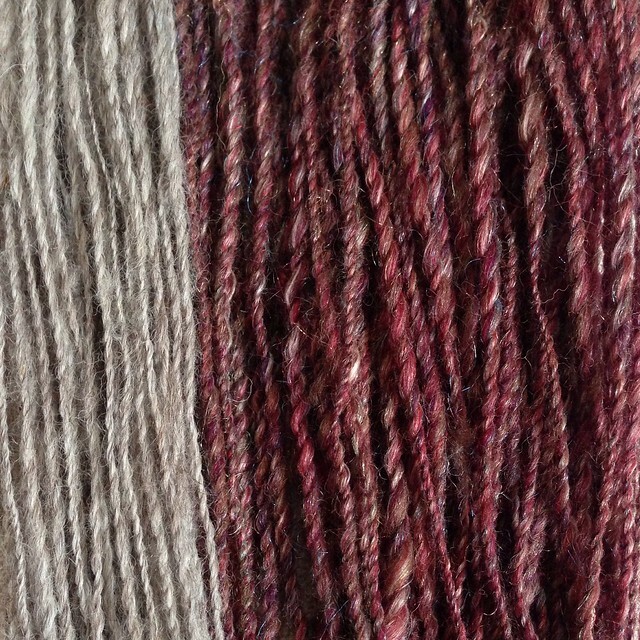 Before I start spinning it, I'd like to take this Dyed Fiber Spinning Class. I've heard some really great things about it from other spinners, so I'll let you know how it goes in the next few weeks. That's it from me, but please post links to your fibre/spinning posts on the Mister Linky below (if you are reading this on a mobile device app and can't see it, please open the page in your browser). The yarn looks lovey. What will it be instead? 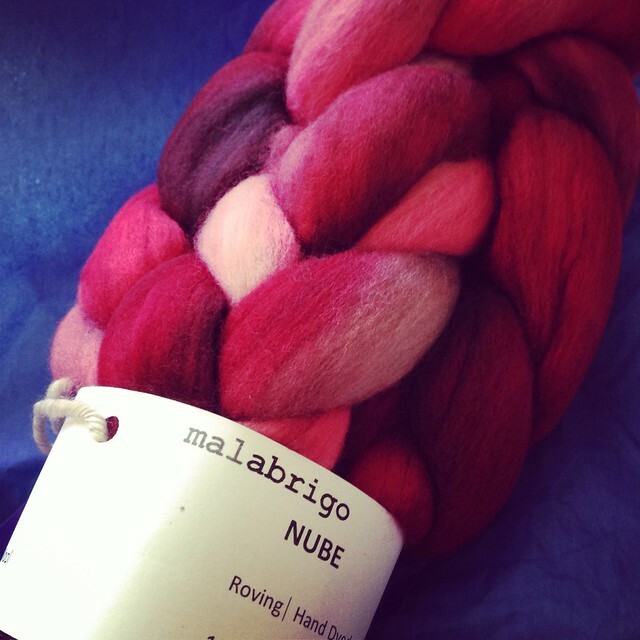 You should join the Malabrigo Junkies group on Ravelry and spin your Nube with us! The month of October is full of lots of KALs and prizes there. These are wonderful outcomes. You are so expert. Could you adjust the gauge and stitch count to eek a shawl from the yardage you have? Despite being a disappointment in length, the yarn is still gorgeous and I look forward to seeing what you end up knitting out of it!